Popsicles of any sort are fun. Layered popsicles, however, really get attention. They’re a little bit of extra work, depending on the ingredients, but lots of fun to serve. The key here is making sure each layer is solid enough to support the next layer. That’s not entirely frozen, but not liquid either. Just how soon you can add a new layer depends on what you’re making your layered popsicles out of. Pudding, for example, can be layered as soon as the pudding sets. That shouldn’t take long, and you won’t have to put the popsicle in the freezer between layers. Fruit juice, on the other hand, will need to be at least partially frozen. Don’t freeze it too hard if it’s at a level where the stick needs to go. Use pudding, smoothies, yogurt, juice, whatever sounds good together. 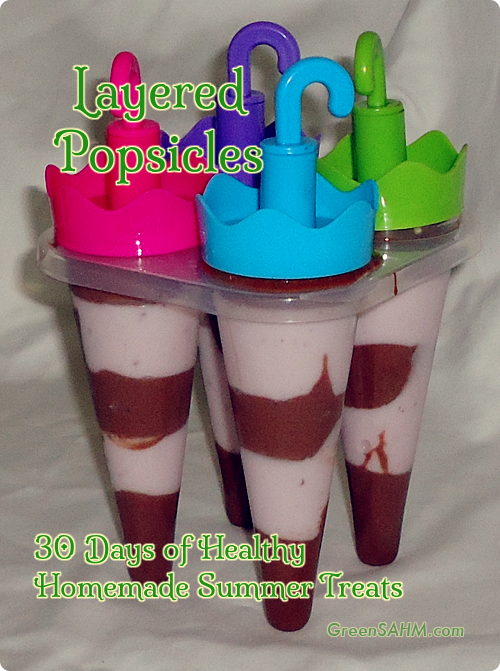 Here’s another fun way for kids to enjoy a bit of frozen fruit in a healthy way. 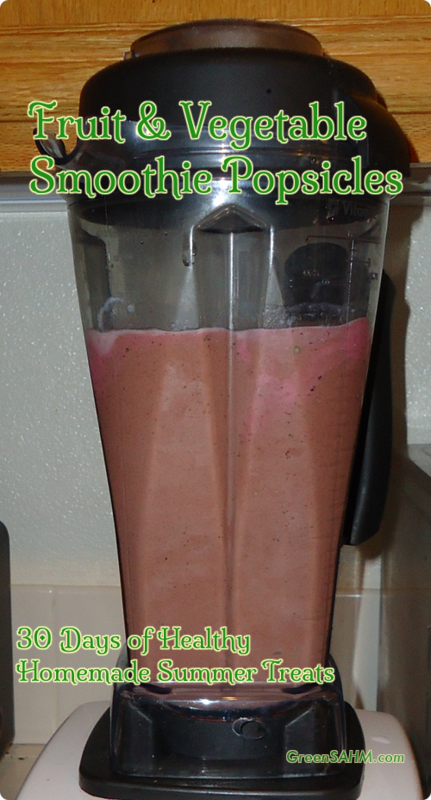 Place all ingredients in blender. Mix to desired consistency. Pour into popsicle molds and freeze. Sometimes when I make a smoothie, there are leftovers. 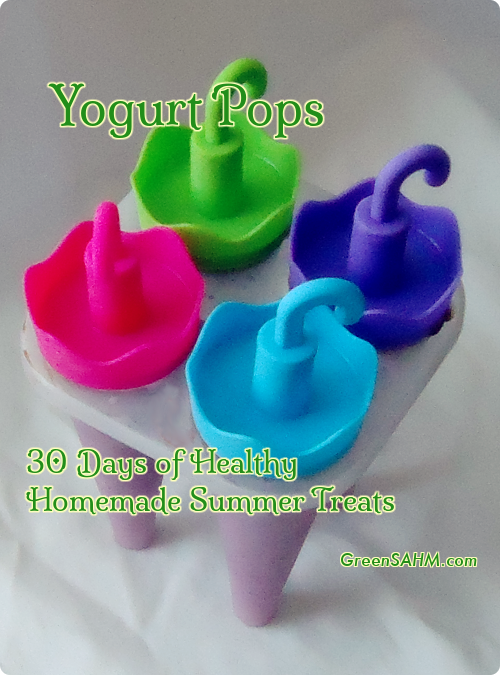 This is easy to handle – I haul out my popsicle molds and pour it in. 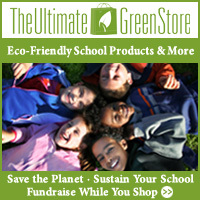 Soon enough I have popsicles so healthy that I don’t mind letting my kids eat them for breakfast! And yes, the kids find it hilarious that they can have popsicles for breakfast. 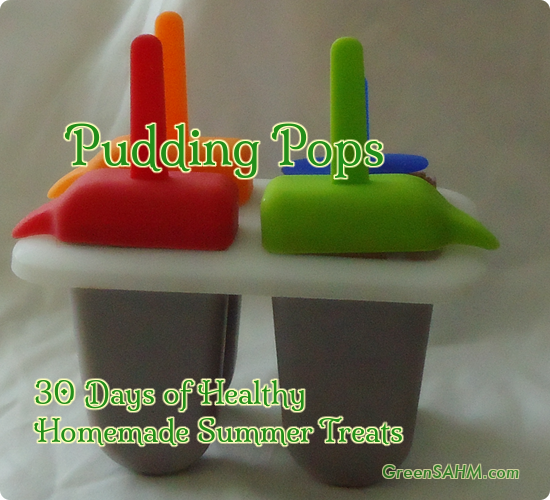 I loved pudding pops as a kids. Chocolate, of course. While these are probably the least healthy suggestion I’ll give during this entire 30 days, they’re also a lot of fun and you can make them healthier with some additions. Make pudding according to package directions. Allow mix to cool if using a cooked pudding. Mix in whipped topping. Pour into popsicle molds. You can add fresh fruit to make this healthier. Real whipped cream rather than whipped topping is another option. You can also be more ambitious than I am and make your own pudding. This will let you have more control over all of the ingredients. There’s a good recipe at Rodale for chocolate pudding. I haven’t tried it, but I imagine you could use avocado chocolate mousse rather than chocolate pudding to make these healthier. You can also have fun and use more than one flavor of pudding. There are some really fun ideas at Our Best Bites. 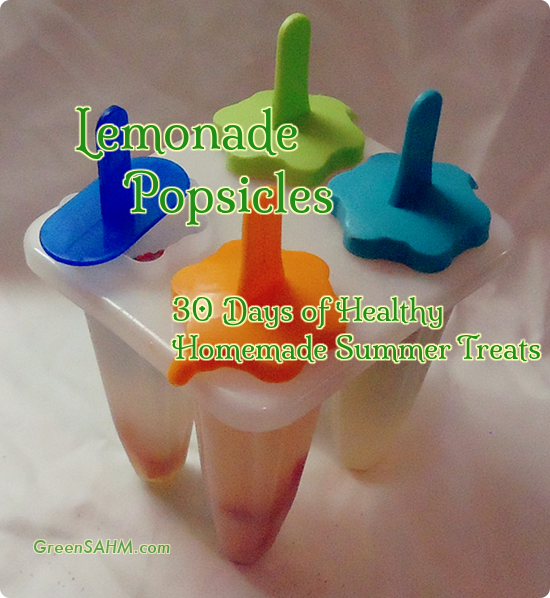 Lemonade popsicles are very simple to make. You freeze lemonade in the molds. Slice up some other fruits, add them to the mold first, and you have a much more interesting snack. The one thing you need to consider is the space your popsicle stick will require. Make sure you can get it far enough into the mold even with the fruit there. Use a good lemonade to keep it healthy. It’s easy to make on your own if you have some lemons around.